Kathy and I have made it a priority to invest in our family. We’ve rearranged our lives to maximize time with each other and our children. 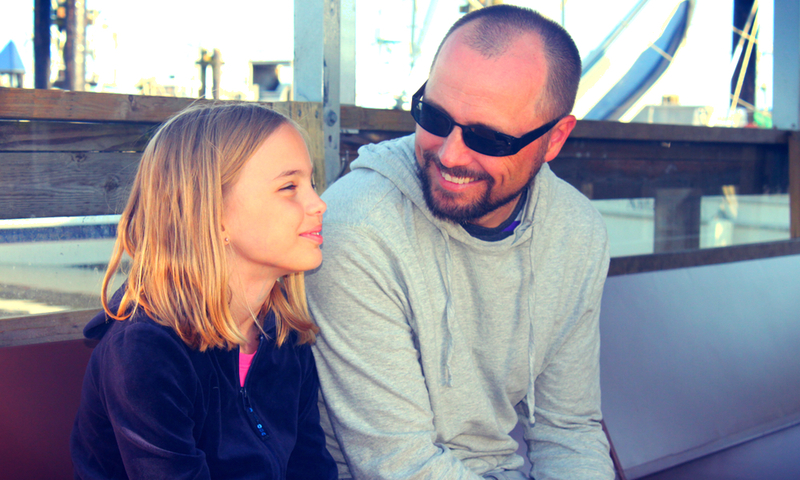 This picture taken a couple weeks in Steveston, BC while we waited for fresh fish & chips on the pier, warms my heart… because it reveals the deep, safe relationship that my daughter and I are forming. My wife, Kathy, and I are so far from perfect (especially the “I” part of “Kathy and I”!!! )… but we’re trying. We feel burdened to leave the best legacy we can for the sake of our children by equipping them with the experiences, skills, and trusts they’ll need to navigate this crazy world. We also understand that we will leave them with some of our faults as well… so we’re trying to equip them to filter out our inconsistencies and failures with wisdom and maturity. Our goal is that they will thrive with a more passionate sense of identity in Christ, even more profoundly than we have so far…. and, prayerfully, we hope that our proactive time with them this summer will have a long-lasting impact. Thanks so much, Blaine. Hope Belize is treating you and your family well! Thank you so much for this encouragement. Your intentionality in this relationship inspires me. Keep investing in the most important ministry of family amidst the pressures and expectations of the broader ministry!